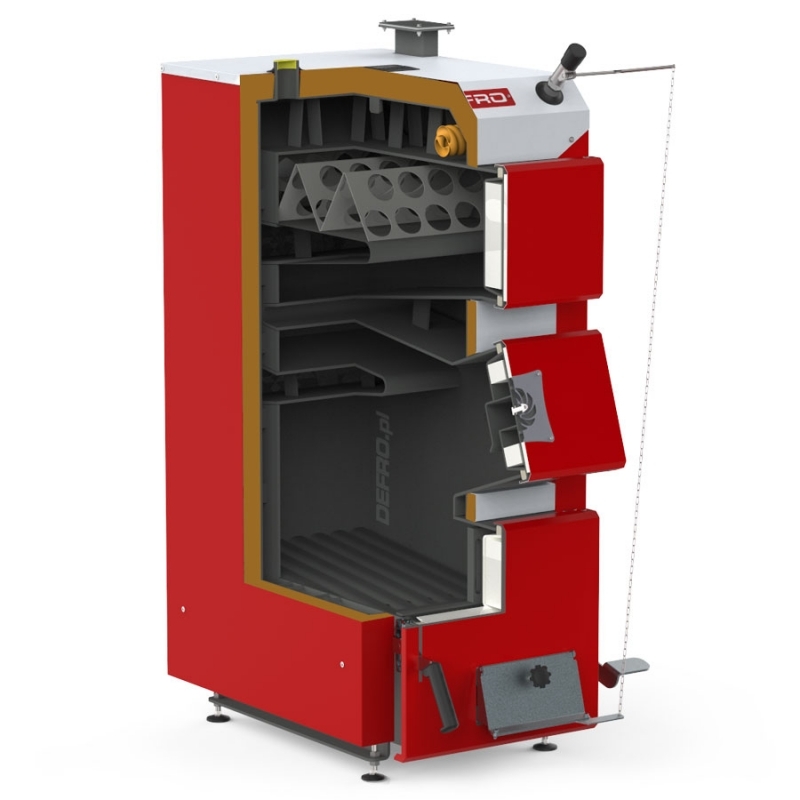 KDR 3 boilers are adapted for combustion of solid fuels, especially wood in form of chunks, and large combustion chamber allows several-hour operation of the equipment. Boilers are operating using natural draught and combustion process does not require use of electric energy. Amount of air necessary for combustion process is adjusted using lifting flap in ash-pan doors, which can be adjusted manually or using string of draught controller /additional equipment/. Boilers are factory adapted for installation of blowing set. Heat exchanger of boilers is made of certified boiler steel of thickness 6mm and insulated with mineral wool to limit heat losses. 4 Draught controller is not equipment of the boiler.